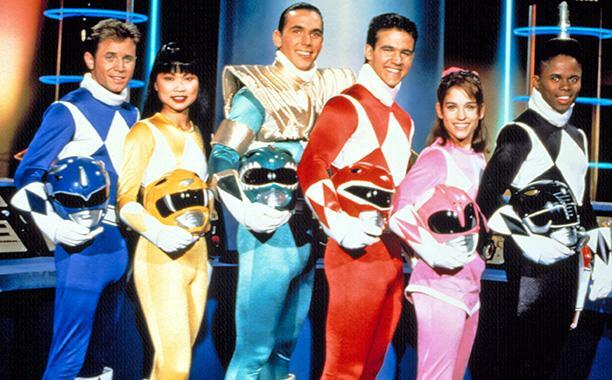 Power Rangers debuted on August 28, 1993 and has caught the attention of millions of kids nationwide. The first season, Might Morphin Power Rangers (MMPR) was a show many of us Nerds loved. Whether it was the cool Megazords, the awesome fight scenes, or the weird-looking monsters they would battle, we loved Power Rangers. But did you know: Power Rangers uses the majority of its fight scenes, suit designs, Megazords, and several monster designs from its Japanese counterpart, Super Sentai? Super Sentai has been around in Japan since 1975 and is loved by children as well as adults for several decades. While its considered a kids show, adults fans praise the series for not “dumbing” itself down for children due to the show regularly tackling adult themes and storylines while still being fun for children in Japan. The video above is from the Super Sentai 199 Hero Great Battle movie where every Ranger team combines their powers and fights evil together. If you think that is cool, then you will love exploring the different Super Sentai teams. Much like Power Rangers, every year there is a new season and new team of rangers with a new motif. The original Mighty Morphin Power Rangers were based off Super Sentai’s Zyuranger, which was focused on Dinosaurs. There are tons of other motifs such as a Samurais, Ninjas, Pirates, Cars, Trains, you name it, Super Sentai has done it. Some seasons are serious, some are silly, but they all have the few things we love: amazing fight scenes, awesome Megazords, and weird-looking monsters. Many of these shows have been subtitled for English audiences by different fan groups, so you won’t need to worry about understanding Japanese. The most popular sites that offer subtitles for these shows are Overtime Subs and TV-Nihon. Both sites have many season of Super Sentai to choose from and download to watch. No matter which one you choose, we hope it will a great viewing experience that reminds you why you loved Power Rangers so much as a kid. And if you like Super Sentai, then maybe you would also like Kamen Rider…just a suggestion.